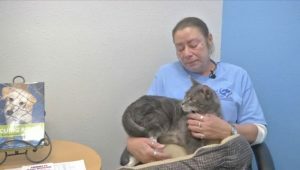 A cat escaped from a fire at an animal shelter 3 years ago. Now he's been found and returned. The new shelter will be his forever home where he will serve as the mascot for microchips.